An authoritative, deeply researched biography of the most controversial and outspoken Supreme Court justice of our time and how he chose to be “right” rather than influential. Antonin Scalia knew only success in the first fifty years of his life. His sterling academic and legal credentials led to his nomination by President Ronald Reagan to the Court of Appeals for the DC Circuit in 1982. In four short years there, he successfully outmaneuvered the more senior Robert Bork to be appointed to the Supreme Court in 1986. Scalia’s evident legal brilliance and personal magnetism led everyone to predict he would unite a new conservative majority under Chief Justice William Rehnquist and change American law in the process. Instead he became a Court of One. Rather than bringing the conservatives together, Scalia drove them apart. He attacked and alienated his more moderate colleagues Sandra Day O’Connor, then David Souter, and finally Anthony Kennedy. Scalia prevented the conservative majority from coalescing for nearly two decades. Scalia: A Court of One is the compelling story of one of the most polarizing figures ever to serve on the nation’s highest court. It provides an insightful analysis of Scalia’s role on a Court that, like him, has moved well to the political right, losing public support and ignoring public criticism. To the delight of his substantial conservative following, Scalia’s “originalism” theory has become the litmus test for analyzing, if not always deciding, cases. But Bruce Allen Murphy shows that Scalia’s judicial conservatism is informed as much by his highly traditional Catholicism, mixed with his political partisanship, as by his reading of the Constitution. 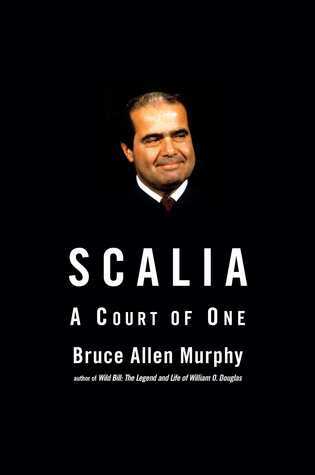 Murphy also brilliantly analyzes Scalia’s role in major court decisions since the mid-1980s and scrutinizes the ethical controversies that have dogged Scalia in recent years. A Court of One is a fascinating examination of one outspoken justice’s decision not to play internal Court politics, leaving him frequently in dissent, but instead to play for history, seeking to etch his originalism philosophy into American law. This is a very in-depth look at the life of Supreme Court Justice Antonin Scalia. Starting with his parents and his home life to his early education which is the foundation of his decisions. Then on to Georgetown University. When at Georgetown he is on the debate team and by his sophomore year his partner and he are winning the most prestige’s awards in the debate field. This wanting to debate and almost over the top in wanting or having the other side see his point would lead to problems later in his life. After graduating it was on to law school and then you get a look at his plan of jobs from teaching to working at a law firm which he argued a case in front of the Supreme Court. To him becoming a judge and then taking a position on the Court of Appeals for the District of Columbia Circuit. Though he knew it would be a cut in pay he also knew that this would be a step in the right direction for the spot he would want to be at the Supreme Court. October 16, 1986 started his time he is the first Italian American to hold the spot as a Supreme Court Jurist and though that may not sound like a big deal it is in the Italian American community. His first days were filled with frustration in that the Justices did not speak to each other and did not go over cases. The way he would handle this would cause problems for throughout his time there. This book goes into how he would try to get other Justices to change their views or opinions on cases and how he always wanted to be heard. It also goes into cases that have changed us the U.S. and how not only his decision but that of the court. The book mostly goes into his decisions but towards the end of the book the author looks at some of the more current decisions and how they were decided even when the Chief Justice in part of his decisions made it appear that the health care law was in violation of the constitution, but his approval was going against his own argument and seemed more of a political vote than an actual fact base vote that is what they were set up for. Check and balances. 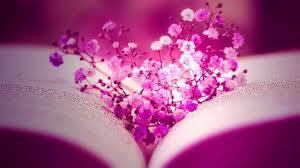 This is a book with a lot of information and the author spent many hours of research on it. A very fascinating book. I got this book from net galley.